One of the most famous gardens in France is at the Château de Villandry, near Tours in the Loire Valley. 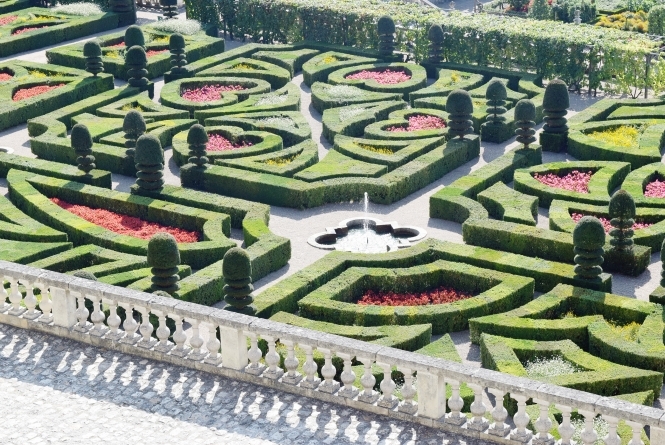 It is known above all for its formal gardens bordered by box hedging which creates symmetrical patterns and are filled with a vast range of plants and vegetables. 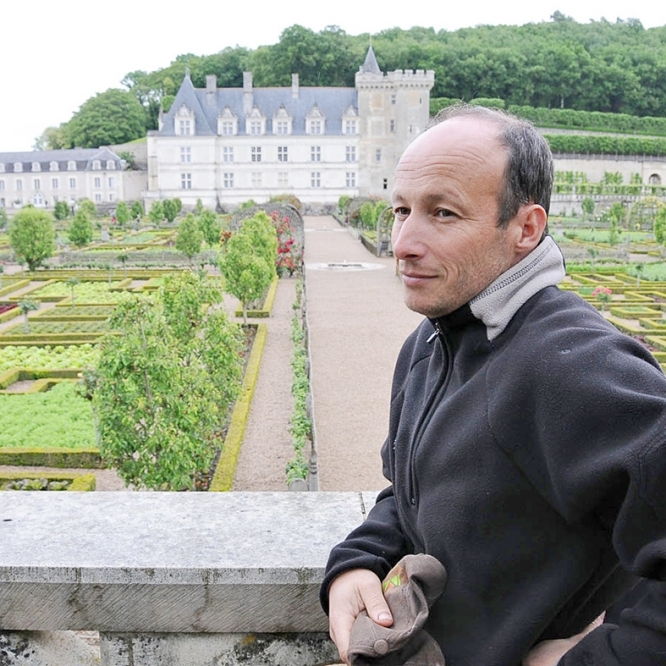 The head gardener since 2007 is Laurent Portuguez. How would you describe the gardens at Villandry? They are gardens of opulence. It is an area with a strong concentration of plants. There are the plants which make up the structure of the garden and we mainly associate that with box at Villandry, but there are other elements including 500 roses and hundreds of fruit trees. Growing within these structural elements are more than 10,000 plants including both flowers and vegetables. We have to have a great deal of knowledge over a very broad range of plants, so it is very complete gardening. How did you become head gardener?